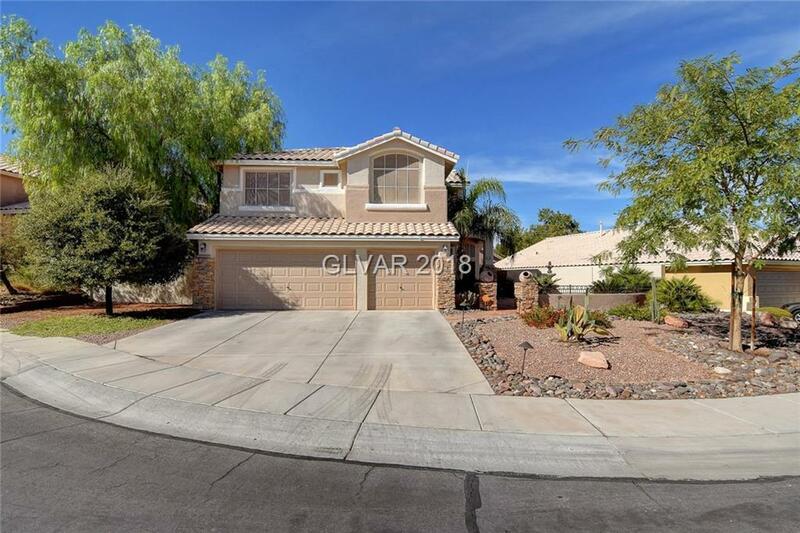 Premier Home located in Summerlin on Cul de Sac! Features include Outstanding Open Area Gourmet Kitchen with adjacent Spacious Downstairs Family Room with Fire Place and Soaring Vaulted Ceilings. Two-Tone Neutral Paint and Window Coverings throughout. Spacious Master Bedroom and Bath including a large Walk-in Closet. Backyard with Resort Style Sparkling Pool, Spa, and Covered Patio. Close to Shopping, Resturants, Parks and New Baseball Field. Directions: From 215 And Lake Mead, Head E On Lake Mead, Right On Hillpointe Rd., Right On Fairacres, Left On Grenville, Right On Faywood, Right On Cloudcroft, Left On Bloomfield.